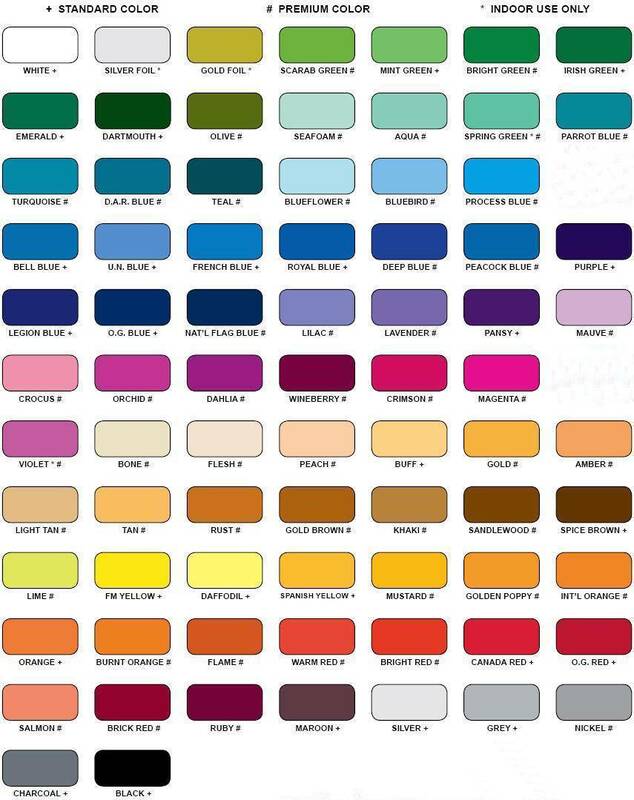 Choose from the colors shown below. CAUTION! Colors always look different from one computer monitor to another. The colors shown are for a general guideline only. If your color requirements for solid flags are less than casual and very specific, please purchase an actual fabric fabric swatch book.